In the early morning of February 4, 1999, Amadou Diallo, a twenty-two year old, was standing near his building in New York after returning from a meal. At about 12:40 a.m., police officers Edward McMellon, Sean Caroll, Kenneth Boss, and Richard Murphy, who were all in street clothes, passed by in a Ford Taurus. Caroll later testified that Diallo matched the general description of a serial rapistwho had struck a year earlier, or that he might have been a lookout. The officers testified that they loudly identified themselves as NYPD officers, but a witness, Schrrie Elliott, testified that the officers started shooting without any warnings. Diallo ran up the outside steps toward his apartment house doorway at their approach, ignoring their orders to stop and “show his hands.” The porch light bulb was out and Diallo was backlit by the inside vestibule, showing only a silhouette. Diallo then reached into his jacket and withdrew his wallet. Seeing Diallo holding a small object, Carroll yelled “gun!” to alert his colleagues. The officers opened fire on Diallo, claiming that they believed he was holding a gun. During the shooting, lead officer McMellon tripped backward off the front stairs, causing the other officers to believe he had been shot. The four officers fired 42 shots, more than half of which went astray, as Diallo was hit 19 times. The post-shooting investigation found no weapons on Diallo’s body; the item he had pulled out of his jacket was not a gun, but a rectangular black wallet. On March 25, 1999, a Bronx grand jury indicted the four officers on charges of second-degree murder and reckless endangerment. All four officers’ bails were set at $100,000. On December 16, an appellate court ordered a change of venue to Albany, New York, stating that pretrial publicity had made a fair trial in New York City impossible. On February 25, 2000, after two days of deliberation, a jury in Albany acquitted the officers of all charges. On April 18, 2000, Diallo’s mother and father filed a $61,000,000 ($20 million plus $1 million for each shot fired) lawsuit against the city and the officers, charging gross negligence, wrongful death, racial profiling, and other violations of Diallo’s civil rights. In March 2004, Diallo’s family accepted a $3,000,000 settlement. Though this settlement was much lower than Diallo’s family had originally hoped for, it was still reportedly one of the largest in the City of New York for a single man with no dependents under New York State’s “wrongful death law,” which limits damages to pecuniary loss by the deceased person’s next of kin. An internal NYPD investigation ruled the officers involved had acted within policy, based on what a reasonable police officer would have done in the same circumstances with the information they had. The Diallo shooting led to a review of police training policy and the use of full metal jacket (FMJ) bullets. Officer Kenneth Boss, a defendant in Diallo’s case, had previously been involved in an incident where an unarmed man was shot. A 22-year-old man, Patrick Bailey, died after he was fatally shot by Boss on October 31, 1997. Despite the above, as of 2012, Boss is the only remaining officer working for the NYPD. Though he was disarmed and reassigned to desk duty after his acquittal, as of 2012, Commissioner Raymond W. Kelly had restored Boss’ ability to carry a firearm. On December 17, 2015, Boss received a promotion to the rank of sergeant despite objections from Diallo’s mother and civil rights activists. Boss was promoted in accordance with police policy, which is not subject to review by top department officials. Shawn Cohen & Laura Italiano, Cop Acquitted in Amadou Diallo Shooting gets Honored, The New York Post (Sept. 15, 2016), http://nypost.com/2016/09/15/cop-acquitted-in-amadou-diallo-shooting-gets-honored/. The Amadou Diallo Foundation, Amadou, http://www.amadoudiallo.org/amadou-diallo.php. Alan Feuer, $3 Million Deal in Police Killing of Diallo in ’99, The New York Times (Jan. 7, 2004), http://www.nytimes.com/2004/01/07/nyregion/3-million-deal-in-police-killing-of-diallo-in-99.html. Jane Fritsch, Devastating Wound Came Late, Diallo Defense Contends, The New York Times (Feb. 11, 2000), http://www.nytimes.com/2000/02/11/nyregion/devastating-wound-came-late-diallo-defense-contends.html. Juan Gonzalez, Cop in Bullet Barrage Tied to ’97 Shoot, The New York Daily News (Feb. 12, 1999), http://www.nydailynews.com/archives/news/bullet-barrage-tied-97-shoot-article-1.834330. Heather Mac Donald, Diallo Truth, Diallo Falsehood, City Journal (1999), https://www.city-journal.org/html/diallo-truth-diallo-falsehood-12011.html. Rafael A. Olmeda & John Marzulli, Unarmed Amadou Diallo is Killed by Four Police Officers who Shot him 41 Times in 1999, The New York Daily News (Feb. 5, 1999), http://www.nydailynews.com/new-york/unarmed-amadou-diallo-shot-killed-police-1999-article-1.2095255. 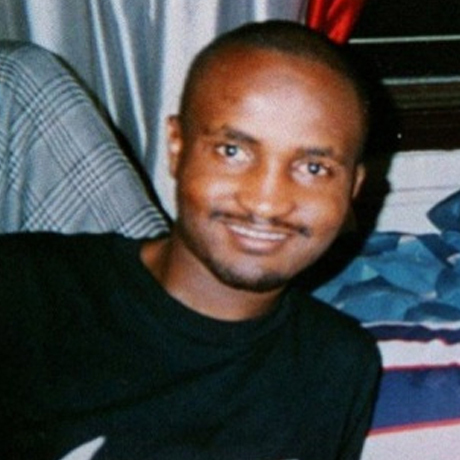 Alexandra Starr, How the Legacy of Amadou Diallo Lives on in New York’s Immigrant Community, Public Radio International (Feb, 5, 2014), https://www.pri.org/stories/2014-02-05/how-legacy-amadou-diallo-lives-new-yorks-immigrant-community. Amy Waldman, Cross-Examination for Diallo Witness, The New York Times (Feb. 14, 2000), http://www.nytimes.com/2000/02/14/nyregion/cross-examination-for-diallo-witness.html. Murray Weiss, NYPS Clears Diallo Cops – With Retraining, New York Post (Apr. 26, 2001), http://nypost.com/2001/04/26/nypd-clears-diallo-cops-with-retraining/.